Kamdhenu Expeller Industries (KEI) is one of the leading Indian Manufacturer and Exporter dealing in Agro Machinery. Kamdhenu Expeller Industries (KEI) offers a wide range of Pulverizers which are designed and developed to provide efficient and excellent Commercial Viability, both for Indian and International markets. The KEI Pulverizers are suitable to be used both by the Medium and Small Scale Industries, Gruh Udyog, Self Help Groups etc. Capacity 15 to 20 Kg per Hr. Kamdhenu Expeller Industries (KEI) offers a wide range of Box Type Pulverizers having efficient and excellent Commercial Viability, both for Indian and International markets. The Box Type Pulverizers are simple in design and serve the varying needs of the end users without much complexity. Since, the last two decades “KEI” has been successful in catering to the varied demands of all its esteem customers around the globe, in a very professional and skillful manner. 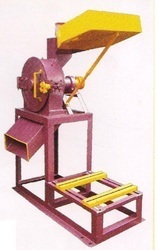 The Kamdhenu Box Type Pulverizers are efficient in pulverizing of chillies, turmeric, similar spices etc. and are suitable for Medium and Small Scale Industries, Gruh Udyog, Self Help Groups etc. Kamdhenu Expeller Industries (KEI) offers a wide range of Stainless Steel Model Pulverizer having efficient and excellent Commercial Viability, both for Indian and International markets. The Stainless Steel Model Pulverizer are simple in design and serve the varying needs of the end users without much complexity. Since, the last two decades “KEI” has been successful in catering to the varied demands of all its esteem customers around the globe, in a very professional and skillful manner. The Kamdhenu Stainless Steel Model Pulverizer are efficient in pulverizing of dal, tomatoes, green chillies, boiled onion, kaju paste, ginger paste, garlic paste, wet edible items, for making gravy and are suitable for hotel kitchens, catering business, hostel and mess kitchens, Medium and Small Scale Industries, Gruh Udyog, Self Help Groups etc. 10 – 40 Kg /Hr. 50 – 90 Kg /Hr. 100 – 140 Kg /Hr. 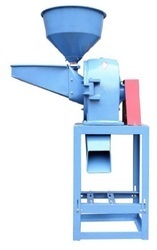 The Stainless Steel Model Pulverizer can be used in any country. For more details, please drop in a inquiry, with your full name, complete address and contact information. Capacity 80 - 100 Kg. / Hr. Kamdhenu Agro Machinery (KAM) offers Masala Pulveriser or Spice Pulveriser and Flour Mill having efficient and excellent Commercial Viability, both for Indian and International markets. The Masala Pulveriser or Spice Pulveriser and Flour Mill are simple in design and serve the varying needs of the end users without much complexity. Since, the last two decades “KAM” has been successful in catering to the varied demands of all its esteem customers around the globe, in a very professional and skillful manner. The Kamdhenu Masala Pulveriser or Spice Pulveriser and Flour Mill are efficient in fine crushing of flour and spices and are suitable for Medium and Small Scale Industries, Gruh Udyog, Self Help Groups etc. Kamdhenu Agro Machinery offers a wide range of Red Chilly Grinding Machine or Fan Filter Connector Cyclone and Blower Pulverisers having efficient and excellent Commercial Viability, both for Indian and International markets. The Red Chilly Grinding Machine or Fan Filter Connector Cyclone and Blower Pulverisers are simple in design and serve the varying needs of the end users without much complexity. The Kamdhenu Red Chilly Grinding Machine or Fan Filter Connector Cyclone and Blower Pulverisers are efficient in grinding of chilies, turmeric, amchur, borkut, dhaniya and a range of other spices. Due to the presence of the collecting Baloon, the Kamdhenu Red Chilly Grinding Machine or Fan Filter Connector Cyclone and Blower Pulverisers do not pollute the environment and hence, are suitable for both Medium and Small Scale Industries, Gruh Udyog, Self Help Groups etc. 25 – 35 Kg /Hr. 35 – 45 Kg /Hr. 50 - 60 Kg. / Hr. 80 – 100 Kg /Hr. 140 – 150 Kg /Hr. 200 – 250 Kg /Hr. 300 – 350 Kg /Hr. Kamdhenu Expeller Industries (KEI) offers a wide range of Multipurpose Pulverisers (Wet and Dry) having efficient and excellent Commercial Viability, both for Indian and International markets. The Multipurpose Pulverisers (Wet and Dry) are simple in design and serve the varying needs of the end users without much complexity. Since, the last two decades “KEI” has been successful in catering to the varied demands of all its esteem customers around the globe, in a very professional and skillful manner. 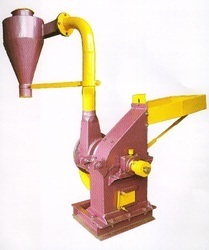 The Kamdhenu Multipurpose Pulverisers (Wet and Dry) are efficient in pulverizing of dals, rice, wheat etc. and are suitable for Medium and Small Scale Industries, Gruh Udyog, Self Help Groups etc. 20 – 25 Kg /Hr. 30 – 40 Kg /Hr. 50 – 60 Kg /Hr. 70 – 80 Kg /Hr. 90 – 100 Kg /Hr. We manufacture and export quality Impact Pulveriser. 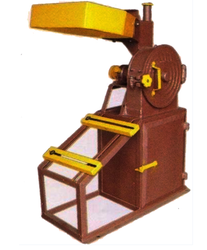 These machines have easy yet heavy-duty intend and are prepared with high-grade mechanism. These are also obtainable in a variety of technical specifications that can be modified as per the necessities of the customers. These pulverizes are operated, maintained effortlessly and fabricated from quality machinery. 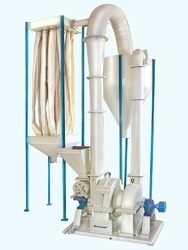 • The pulverizer has a liner on the upper side and 20 to 250 mesh changeable screens on the bottom side. • It is advantages such as easy cleaning, water cooling, screw feed air balloon to reduce wastage.